Having a cover for your pool is a very good idea indeed. If you have a cover that is secure and fits properly, you won’t have any problems keeping out debris. However, there are poor covers out there that claim to do the job but fail when put to the test. That’s why you need to read reviews and compare all the outdoor pool cover options out there. 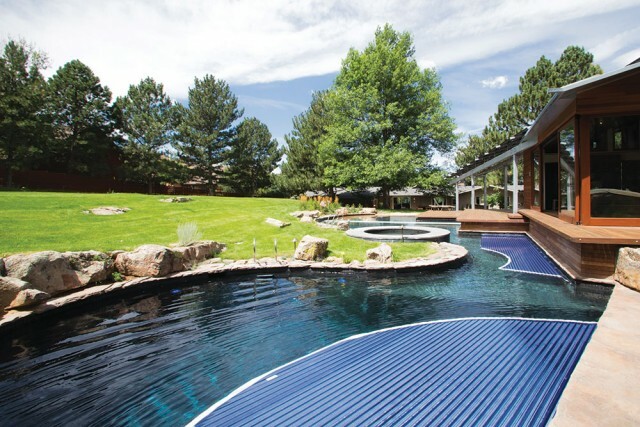 There are also many different types of pool covers, and you should learn a bit about all of them before you decide which one is going to be most protective for your home’s pool. Whatever you do, don’t rush into this decision without giving it the proper level of thought because you’ll end up regretting it sooner or later. This is a trick that’s simple, but it works. If your pool is surrounded by trees, it’s going to get filled up with twigs and leaves very quickly. To get around this, you should tackle any overhanging tree branches that might be causing you problems. It’s not hard to do this. You just need the right tools and a secure ladder to climb up. You’re probably going to need a chainsaw to tackle any large branches. Just be prepared to catch them as they fall. Check thisif you want to compare prices for chainsaws. You need to get a chainsaw that’s going to be up to the job, so don’t simply choose the cheapest one you can find if the quality is poor. Having a fence around the pool can stop any bigger bits of debris getting into your pool. Leaving a small gap around your pool that you can walk on, fit the fence and add a gate for simple access. It improves the safety of your pool if there are any young children around, and can also stop animals and pets drinking from the pool because no one wants that. It can be costly to have a whole fence fitted around your garden pool, but it’s something that is definitely worth considering if you want to keep it as safe and clean as it possibly can be. Get quotes from fencing companies in your local area and compare the prices. It could be an investment worth making. Your pool will be spotless and inviting if you make the most of these tips and ideas. So, start putting them to good use today.